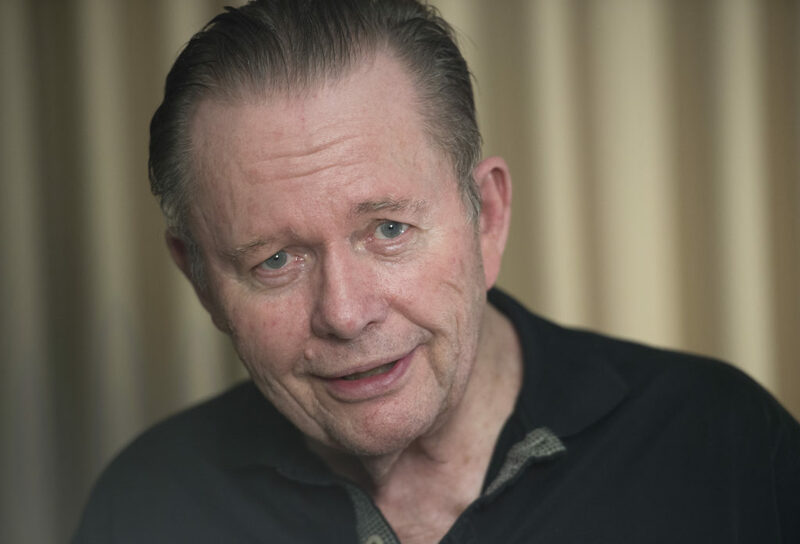 When he was diagnosed with Alzheimer’s disease in the winter of 2013, Bill Lyon’s reaction was to write. 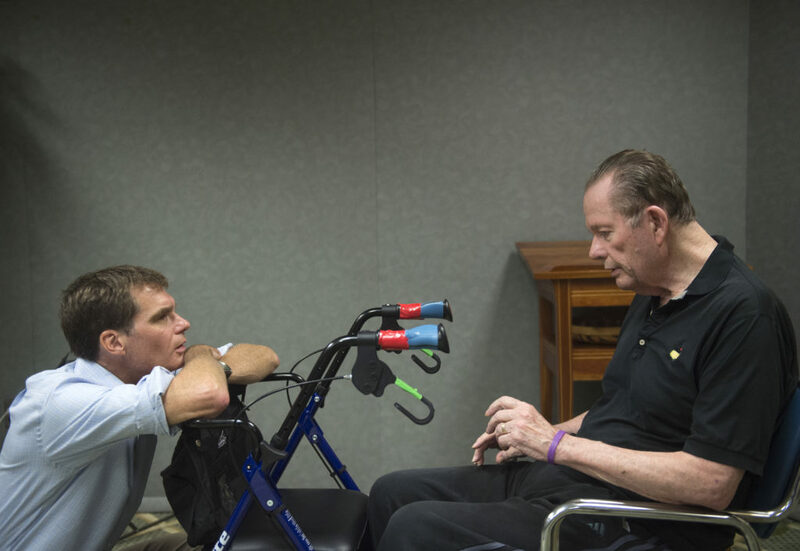 A retired sports columnist who had written for the Philadelphia Inquirer for over 30 years, Lyon decided to pick up his pen once more, though this time to cover his battle with the “insidious disease” he called “Al” instead of battles on the football field. “My intent is to write until . . . well, until I can’t,” he wrote in his first column. “You can either curl up in the corner and wait to die or you can get up on your hind legs and knock the crap out of somebody or something. I chose the latter,” he explains. Lyon’s column is joined by one from his physician, Jason Karlawish, “the man in the white lab coat.” Dr. Karlawish, co-director of the Penn Memory Center, writes about Lyon’s “wisdom” and courage, and what he has learned about being a patient from listening to Lyon and his words. 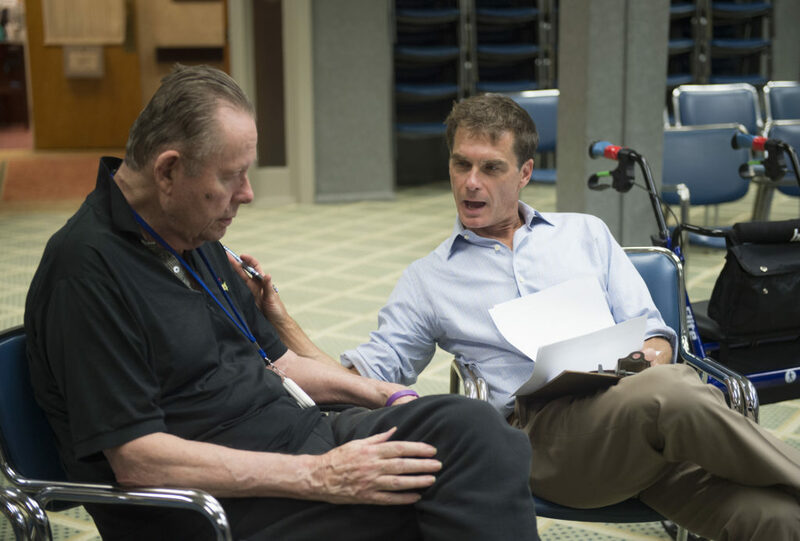 Lyon’s insistence on continuing writing – and fighting – and his ability to use words to bring one into the shoes of a patient living with Alzheimer’s and inspire conversation surrounding the experiences of having Alzheimer’s makes him a champion – a champion of Alzheimer’s disease. Dr. Karlawish also notes in his column an example of Lyon’s impact: on the day he was to interview Lyon in his home at the continuing care community, a woman recognized Lyon in the lobby. “I love your columns,” the woman had said. She explained how her husband had passed away from Alzheimer’s. “Everything you said, it’s so true.” And then she hugged him. “Which one do you think you will be remembered for?” Dr. Karlawish asks. 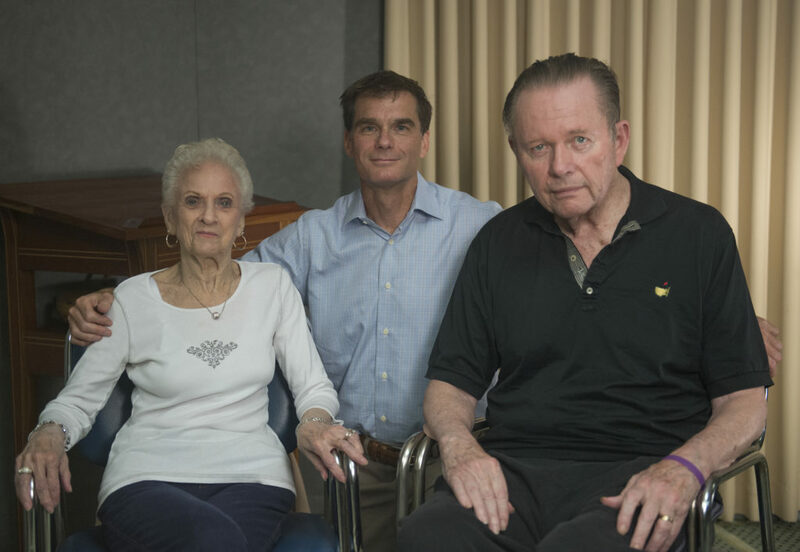 Making Sense of Alzheimer’s depends on donations to produce videos like this. Consider making a donation today. 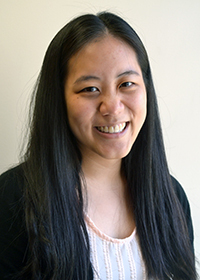 Joyce Lee is an editorial assistant at Making Sense of Alzheimer’s and works with Editor Terrence Casey. She graduated with an A.B. in neuroscience from Princeton in June of 2017 and is currently on a gap year exploring her interests in journalism and medicine. She hopes to pursue a career as a physician and a writer in the future. "Even though you are still with us, I mourn the loss of you." In many ways, I consider myself lucky to have been young when my grandmother was diagnosed with Alzheimer’s disease.